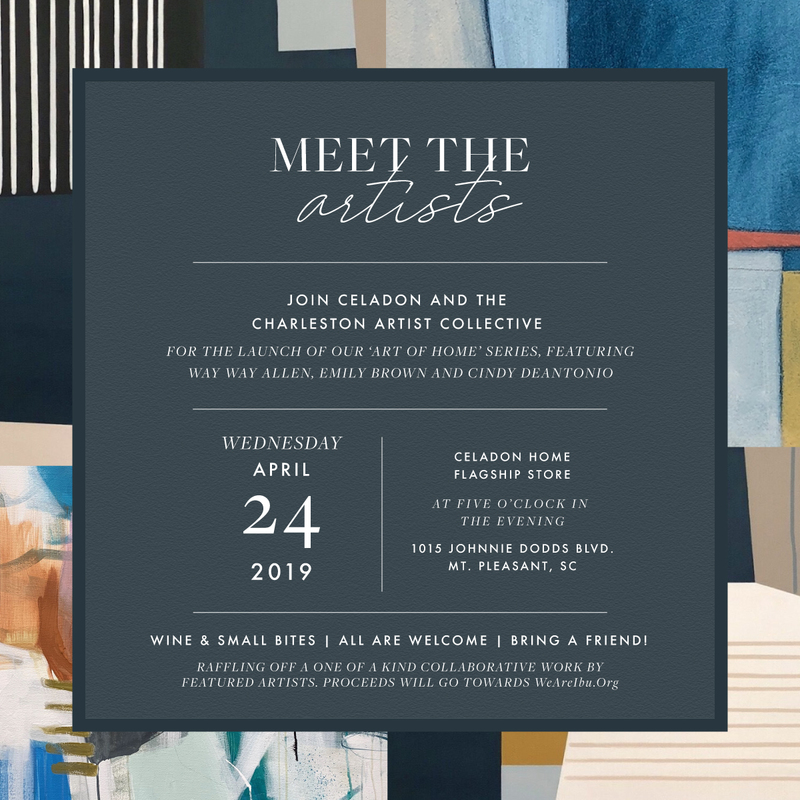 Join Celadon for our inaugural Art of Home series as we welcome Way Way Allen, Emily Brown and Cindy DeAntonino of the Charleston Artist Collective. The Art of Home is an exciting new collaboration where members of the Artist Collective will create exclusive paintings for rotating exhibits at Celadon. We will kick off the series on April 24th with a “Meet The Artists” reception at the store featuring the dream team of Way Way Allen, Emily Brown and Cindy DeAntonio. We will feature a special gallery wall of the artists’ works and plenty of sizes for sale. This event is a must for anyone interested in original artwork and we encourage you to stop in and experience the amazing women behind Celadon and The Artist Collective.